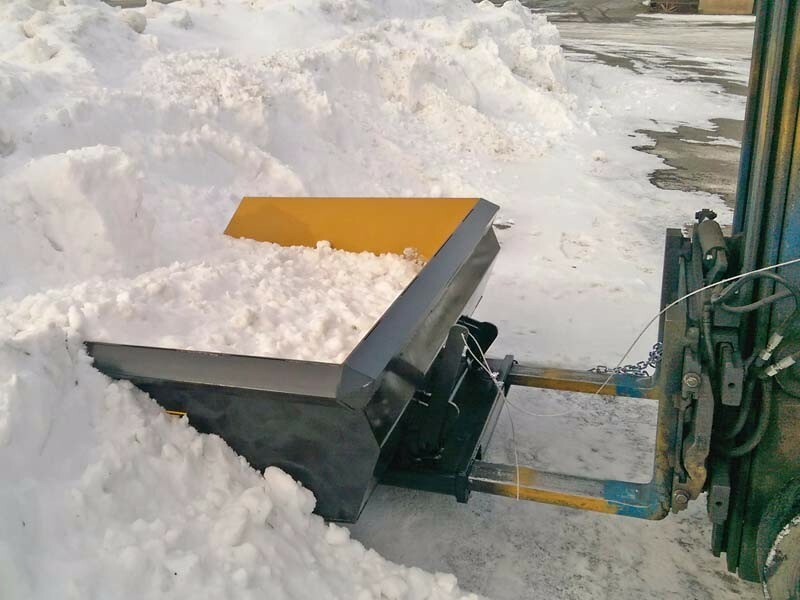 The Koke Snobucket is our version of a Snow Bucket, built with heavy duty components for long life. It is designed for forklift use and attaches easily with a safety chain. 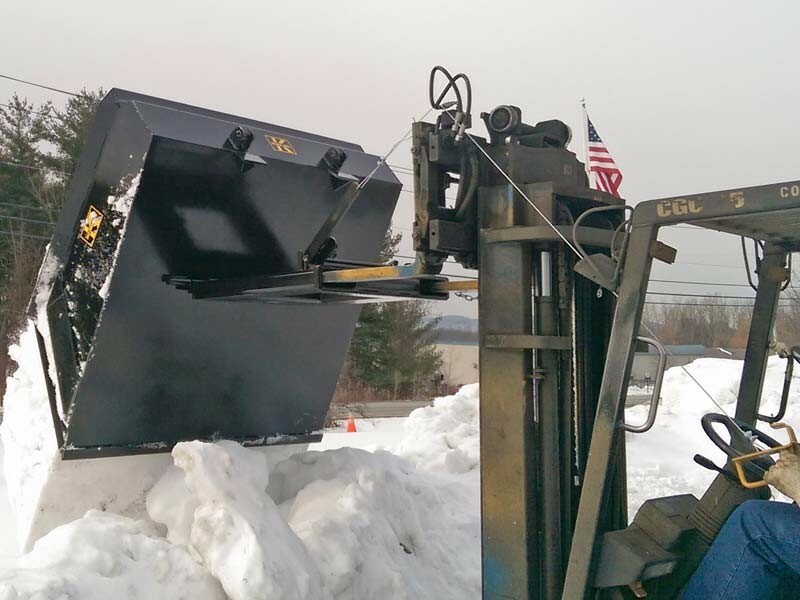 The Snobucket is a quick attach snow plow with a self dumping mechanism that is activated with a simple pull on the release cable by the fork lift operator. Click for full specs. Our Snobucket can be used with ANY device that has forks: forklifts, skid steer, tractors, pay loaders. 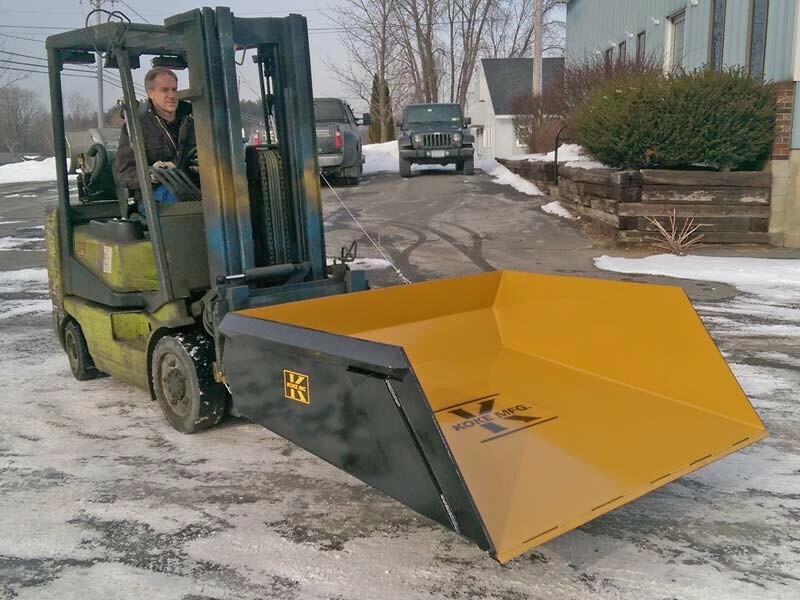 For more information, view our recently written blogs: Benefits of Using a Snow Bucket and Meet Koke’s Heavy Duty Snow Plow Attachment. Be ready for a snowy winter!